My Uncle George was an Englishman from Nottingham, England, the land of Robin Hood, Friar Tuck, and likely the occasional Medieval pig roast. He shared this recipe with my family back in the 1970s (when we still lit our grill with lighter fluid). 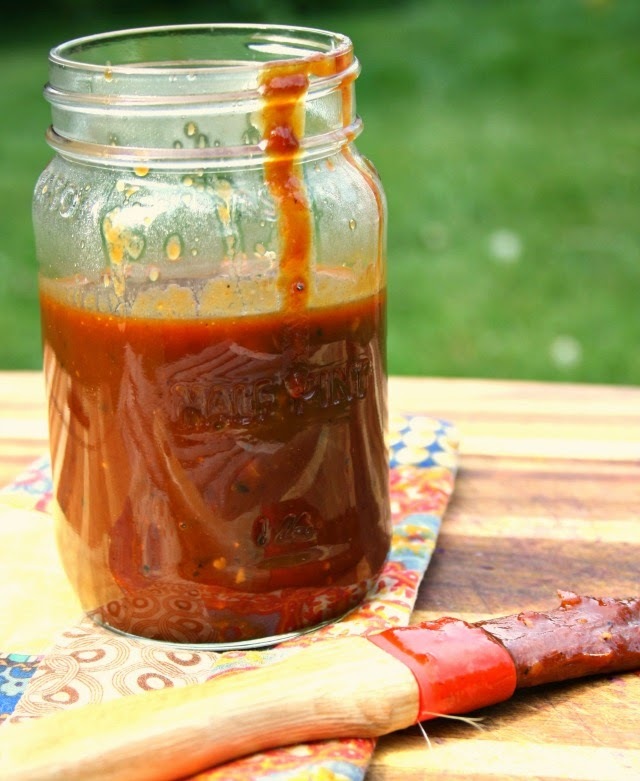 While we never did become a barbecue family, this sauce did help us along and has become a summer staple in our house. And a family friend now gives it as gifts, which I think is brilliant. Because, really, who wants to buy store bought barbecue sauce when you can easily have a nice fresh batch of homemade? We have always made beer barbecue sauce with a locally brewed lager but I had a note from someone who tried it with a sturdy stout beer and had great success. So take your pick. The world is full of wonderful craft beer so experiment to find your favourite. This is a mildly spicy sauce that's super flavourful. The addition of beer just seems to suit a summer day. Use it on chicken, steak, vegetables or whatever else you like to grill. It’s great for "oven barbecuing” too. Combine in a saucepan, bring to a boil and simmer for 15-20 minutes. 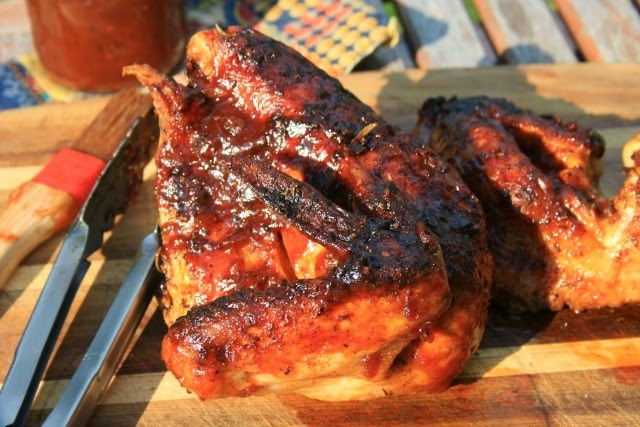 Cooked over indirect heat this barbecued chicken stays moist and is extra flavourful. Bathed in a salty brine and cooked over indirect heat this barbecued chicken stays moist and is extra flavourful. In a large pot combine water and salt. Stir a few times to start the salt dissolving. Add chicken, cover and place in the fridge for six hours or overnight. When ready to cook preheat barbecue to medium and keep the lid closed. Remove chicken from brine, pat dry. Rub with garlic, brush with oil, season with pepper. Turn off one burner, place chicken on "off" side of the grill, and brush with barbecue sauce. (Cooking time will depend on the kind of chicken you're coking).